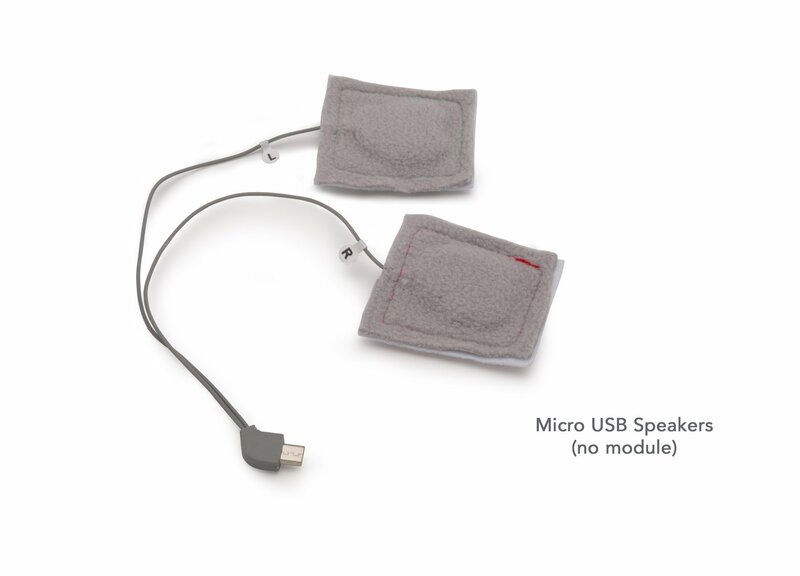 In case something happens to your SleepPhones® speakers, you can now replace them easily! These come with the same one-year limited warranty as your original SleepPhones®. 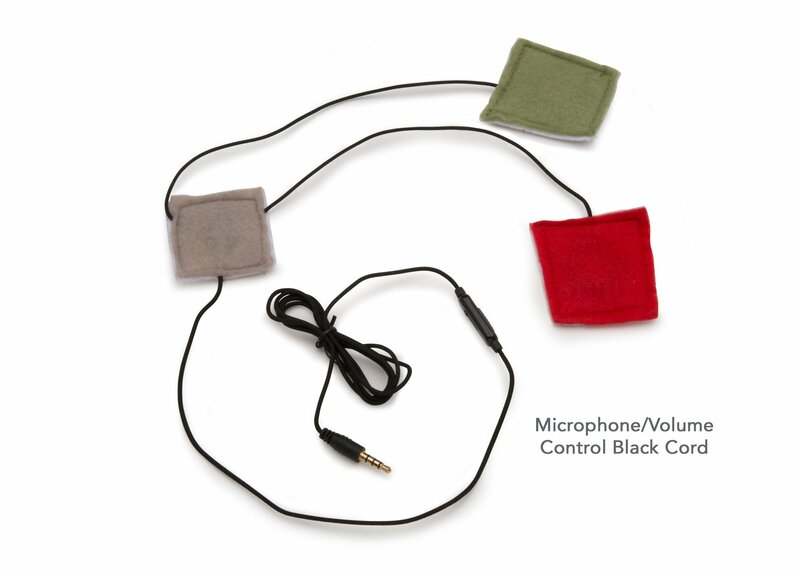 The Standard and Microphone and Volume Control cords are 48 inches long. Please note that these do not come with the SleepPhones® headband. 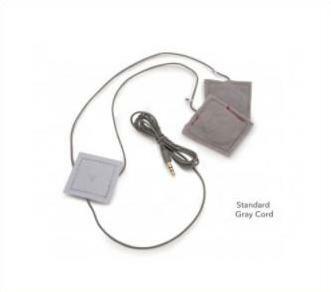 Standard Cord - Our original 4 foot (120cm) cord with 1/8" (3.5 mm) plug and 2 fabric wrapped thin speakers. 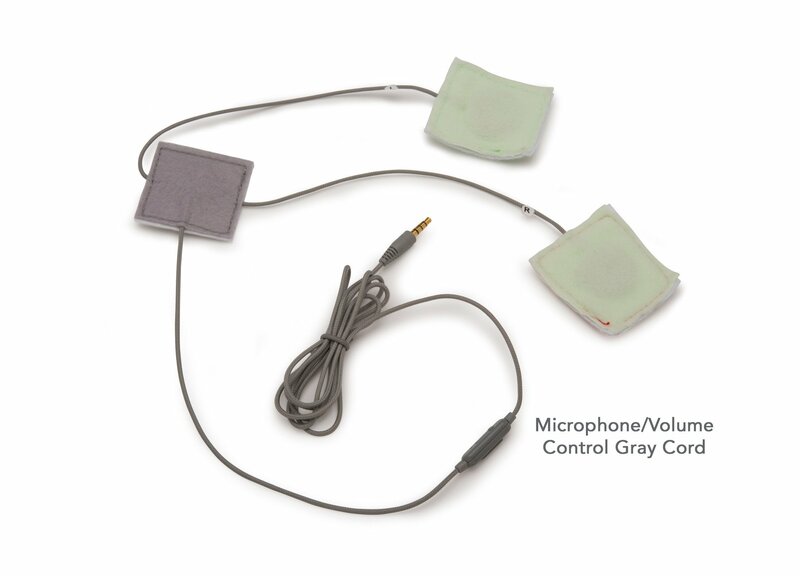 Microphone and Volume Control - The little controller on the cord has it all! You answer and talk on the phone, start and stop your music, and change the volume without fumbling for your music player in the dark. Wireless Speakers (No Module) - This offers just the micro-USB short cable with speakers, with nothing else. Please note that this won't plug into most phones and is meant to be used with our wireless module. Wireless Module with Speakers - Upgrade to a completely wireless headphone! 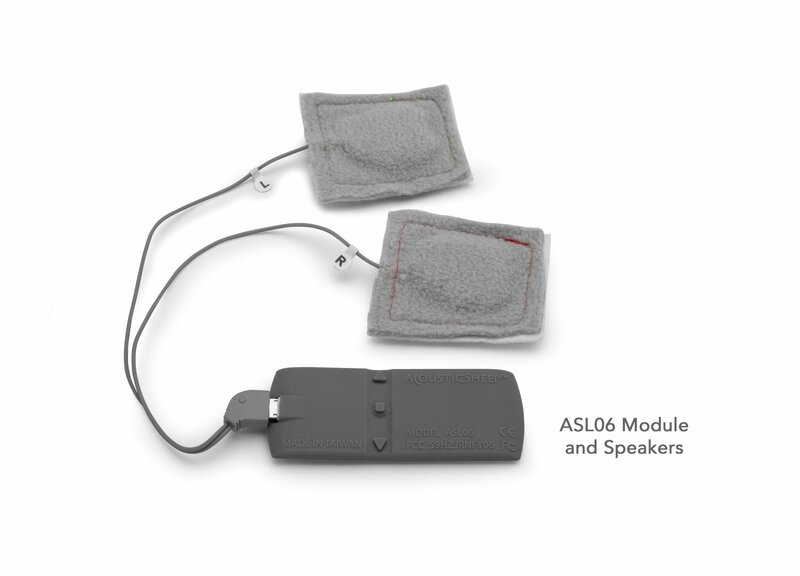 This set includes the Bluetooth® wireless receiver module as well as the speakers that go with it.